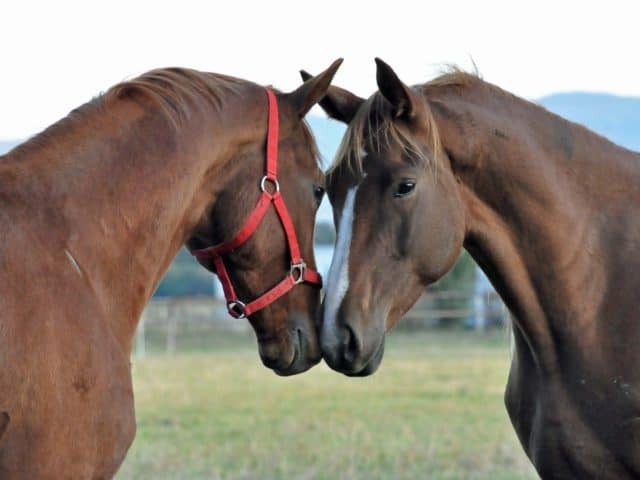 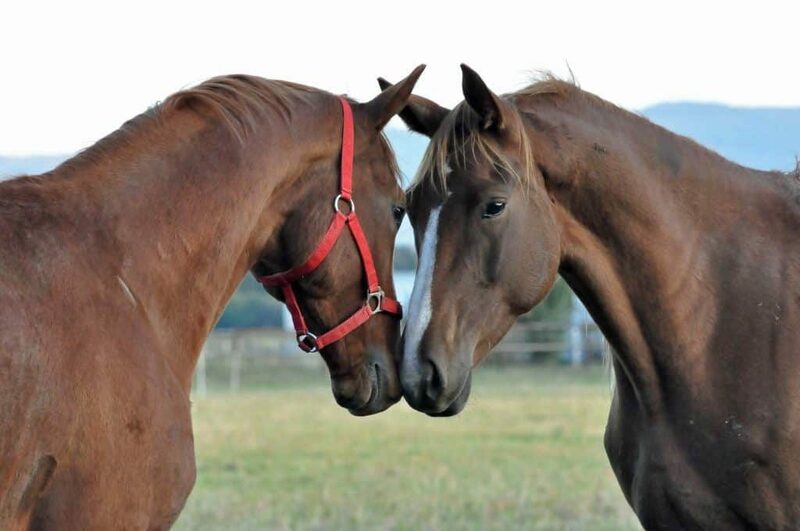 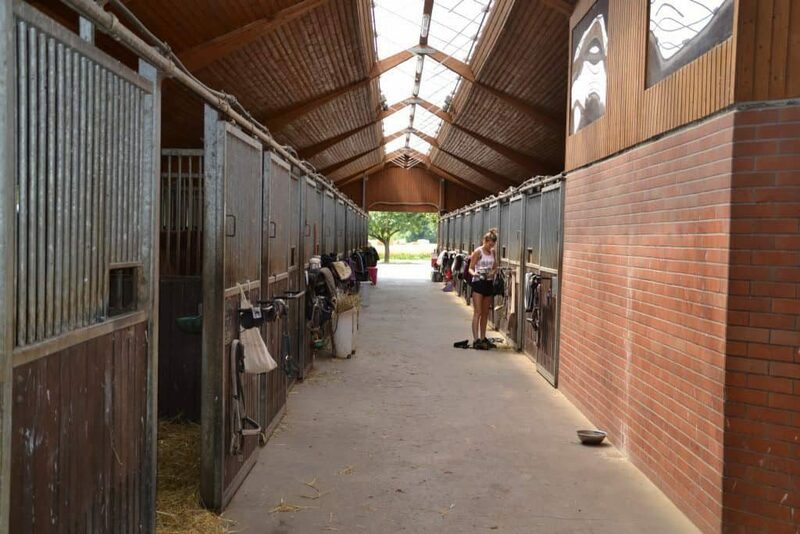 Since the first boarders arrived in our stables in 1980 we made taking care of them the best way possible one of our core responsibilities in order to enable every horse to live a happy, joyful and healthy life. 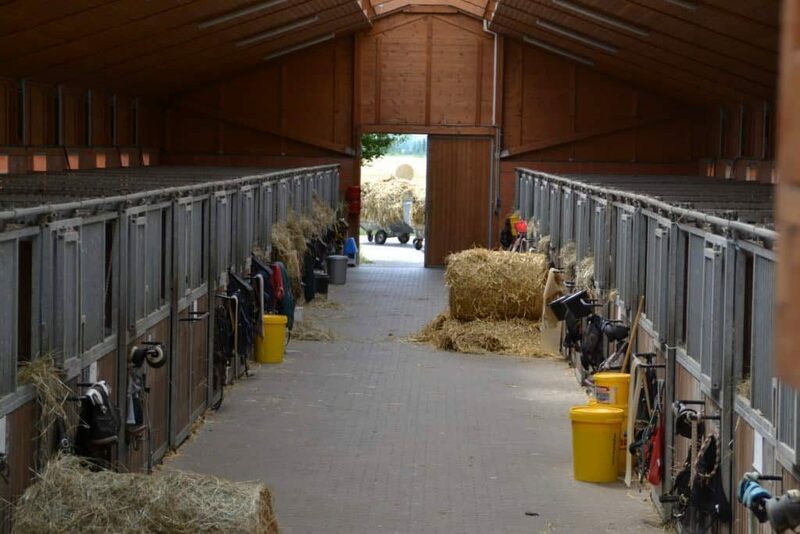 Today the conditions are better than ever before: besides large stables flooded with daylight, we offer diverse training facilities, exercise and leisure services and an outstanding quality of feed and straw. 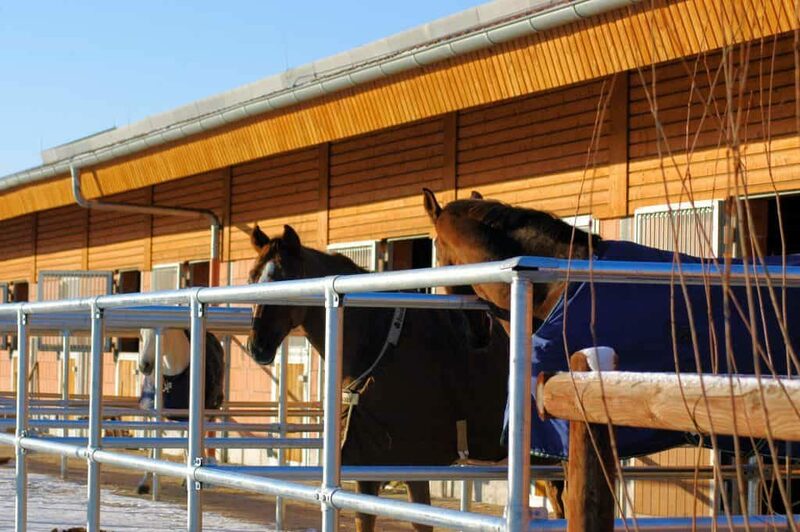 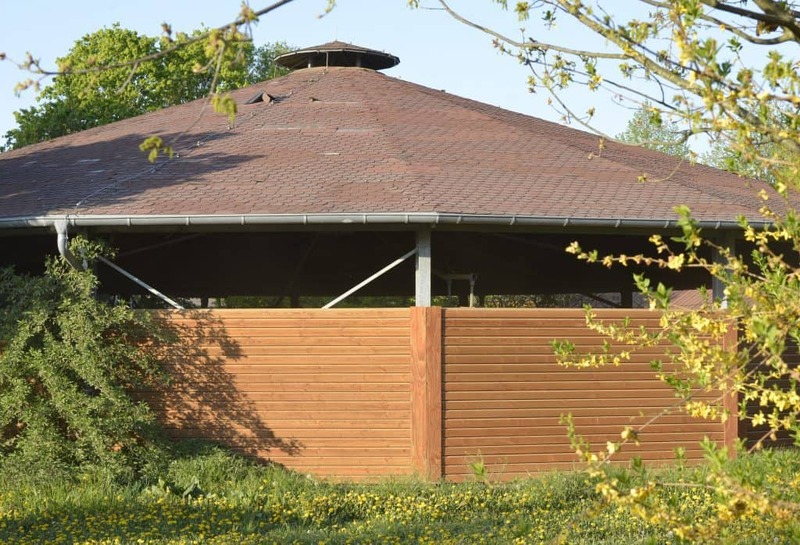 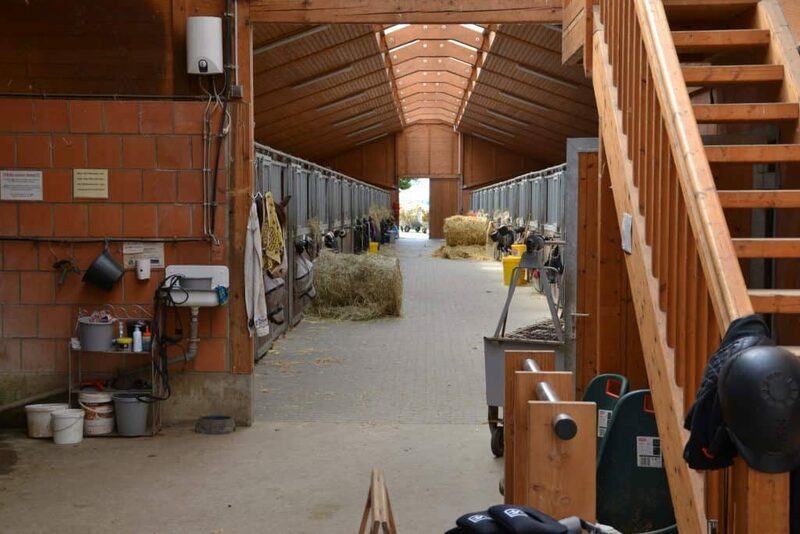 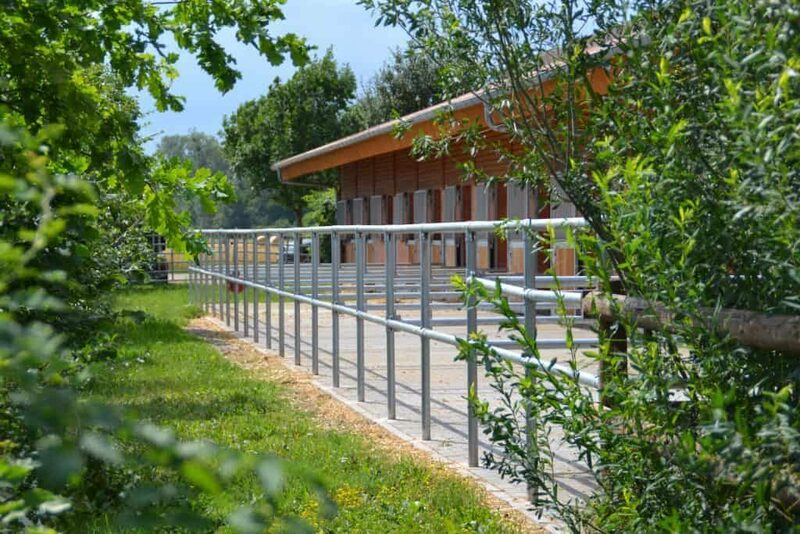 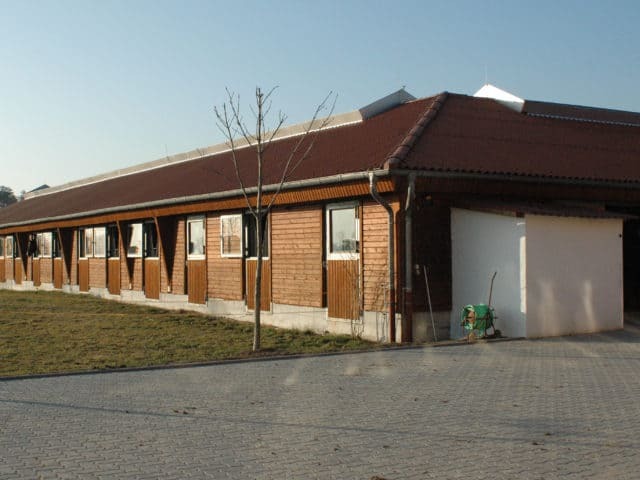 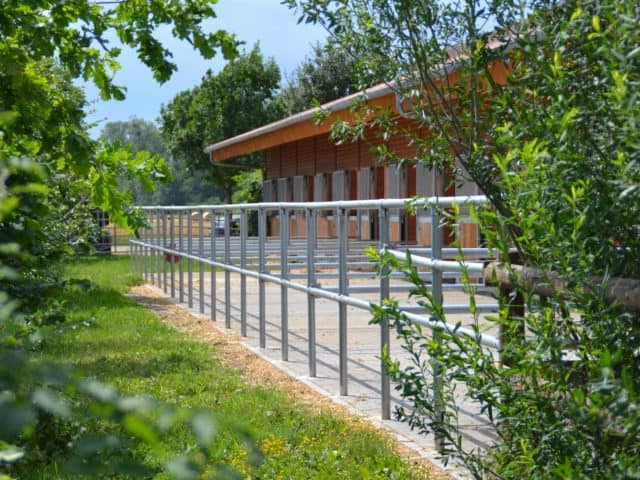 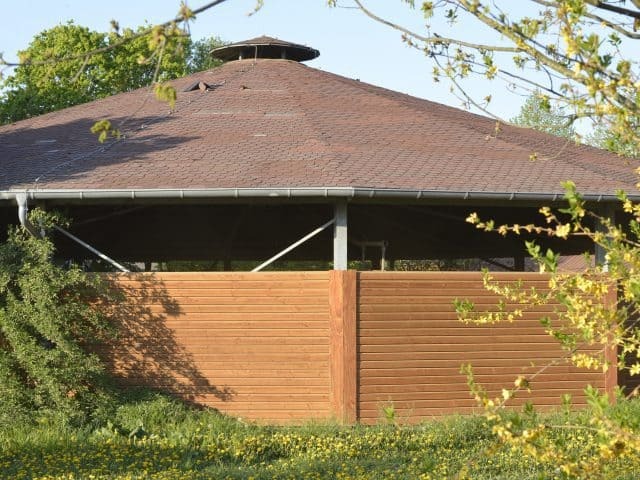 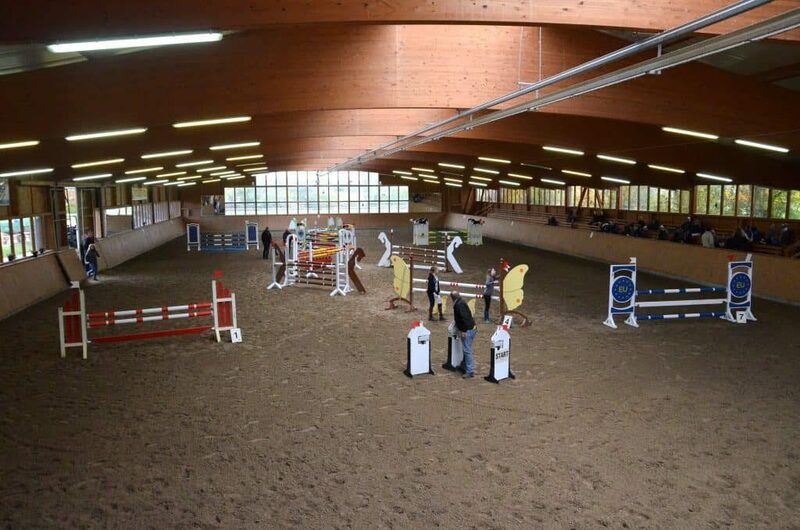 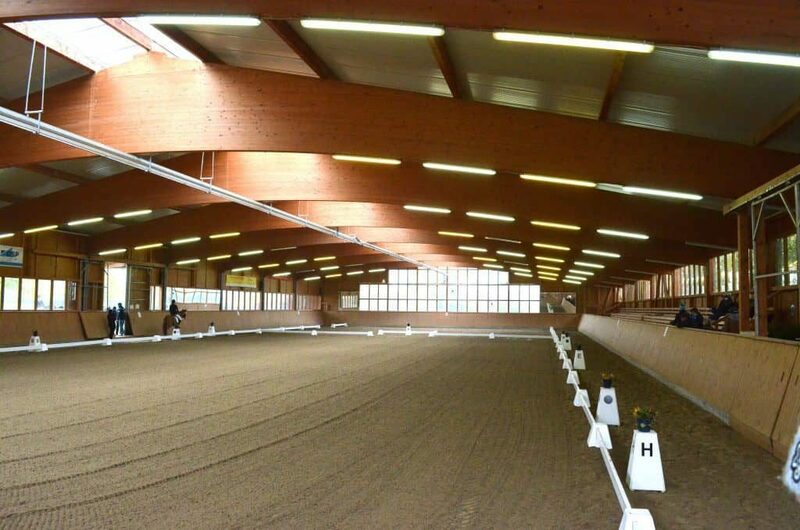 Besides the „Middle Stable“, which was built in 2000 offering light-flooded boxes measuring 3,30m x 3,50m, a „New Stable“ is available since 2011. 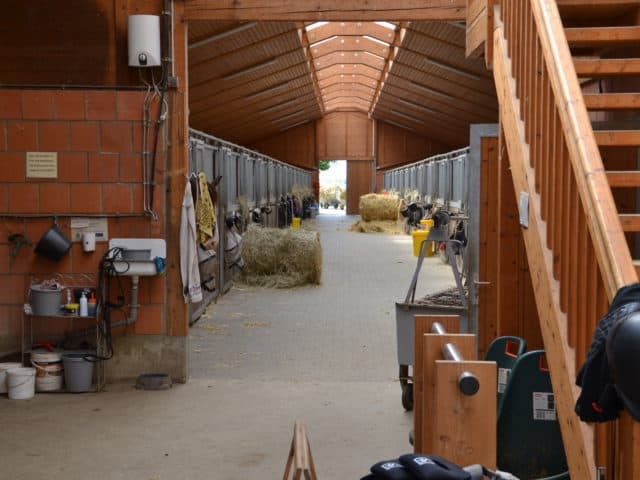 This stable provides boxes measuring 3,50m x 4,00m, and the most of them additionally include an outdoor paddock. 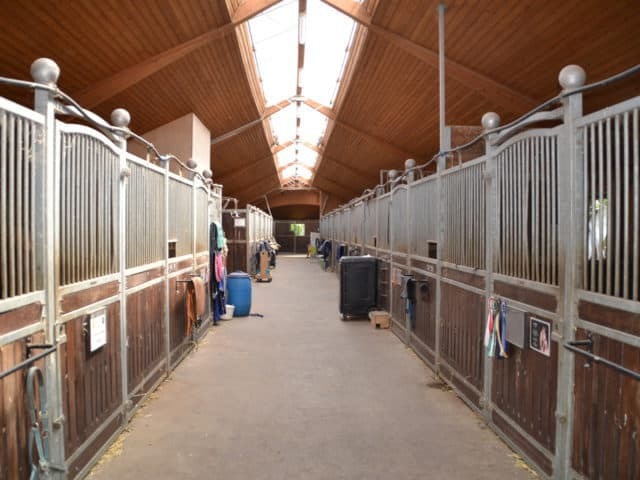 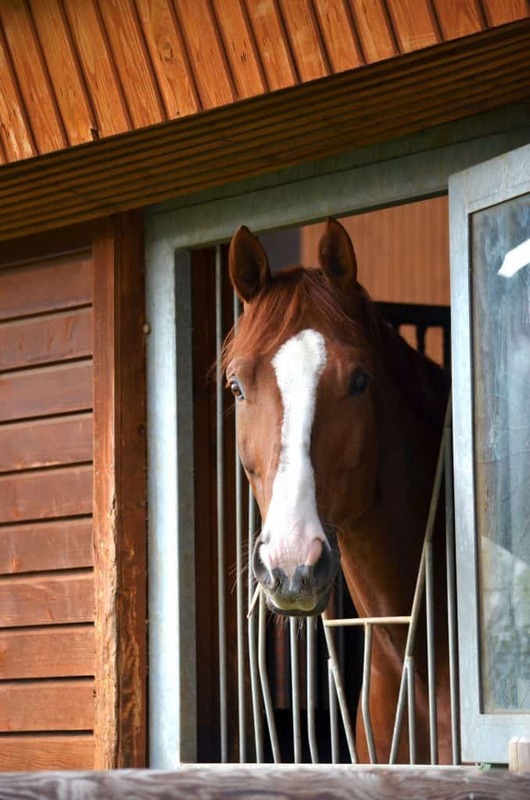 In both boarding stables spacious tack rooms, horse solariums and cleaning equipment is available. 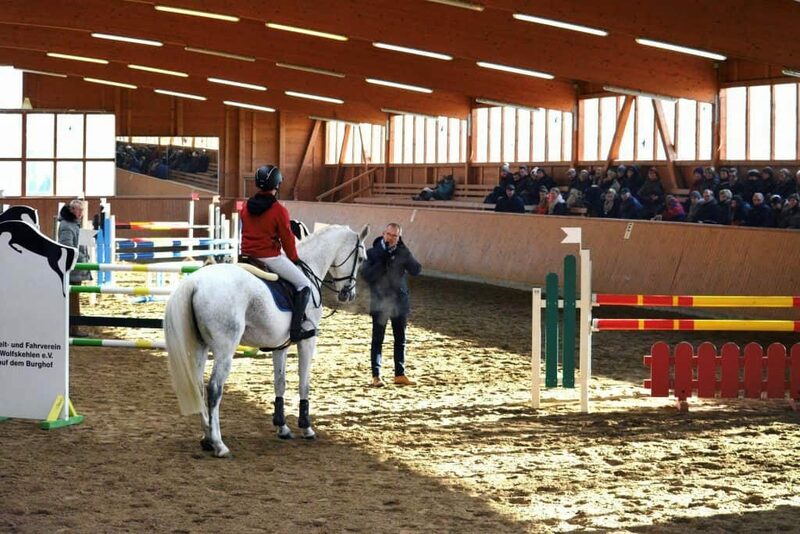 We are proud to offer diverse training opportunities to our boarders today. 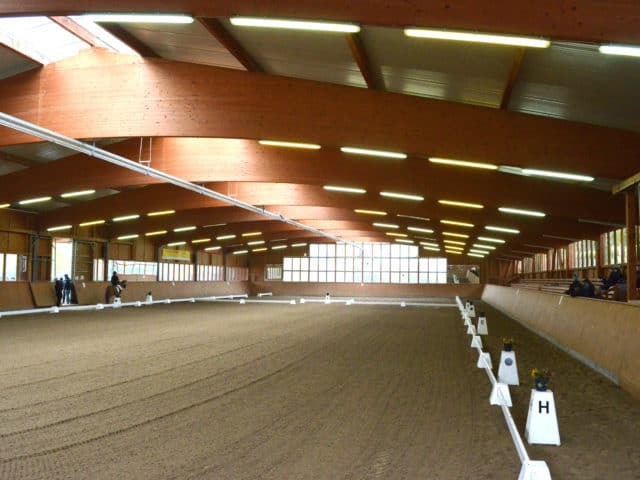 Besides two smaller indoor rings (ca. 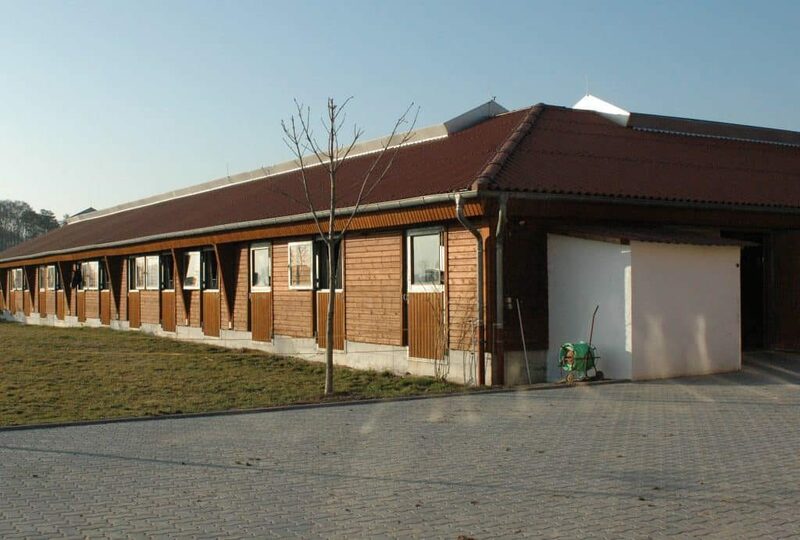 20m x 45m) and a large one called „Odenwaldhalle“ (25m x 63m) with its huge glass front enabling a view towards the nearby mountain range „Odenwald“. 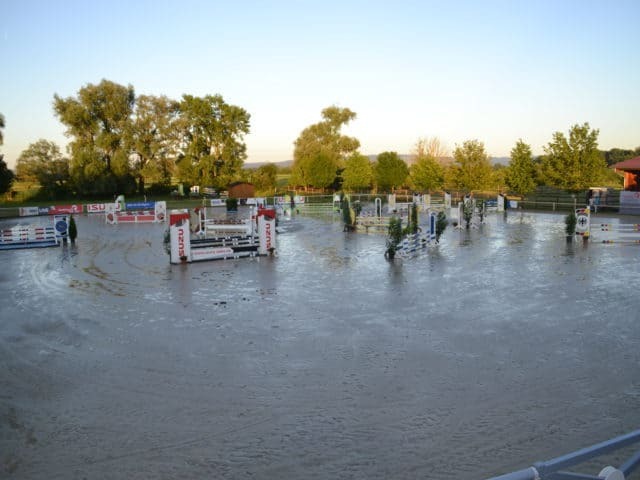 There are 4 outdoor arenas. 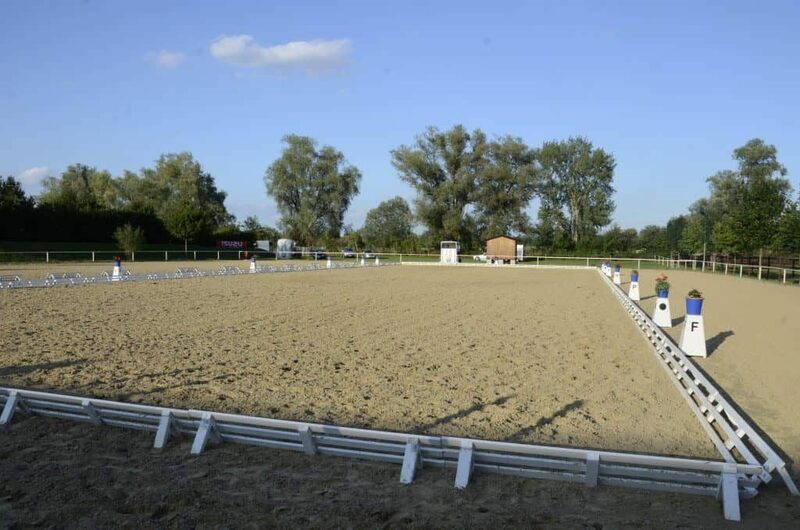 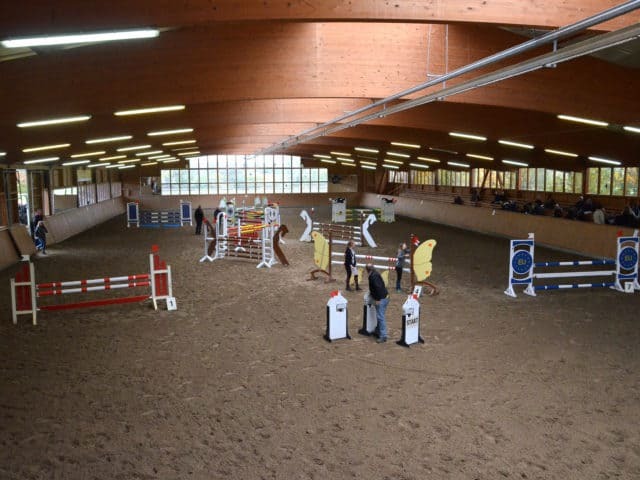 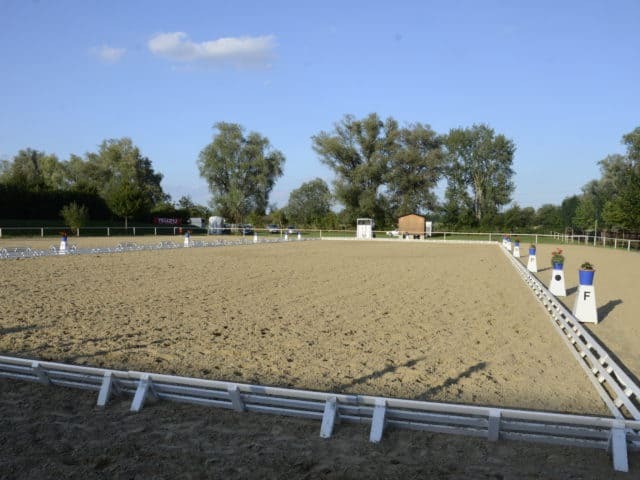 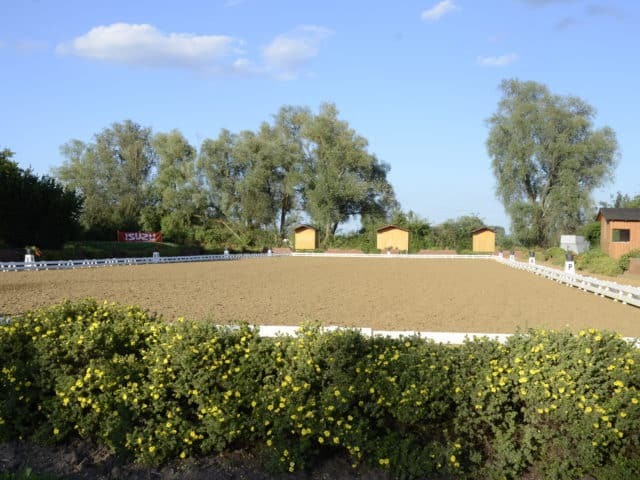 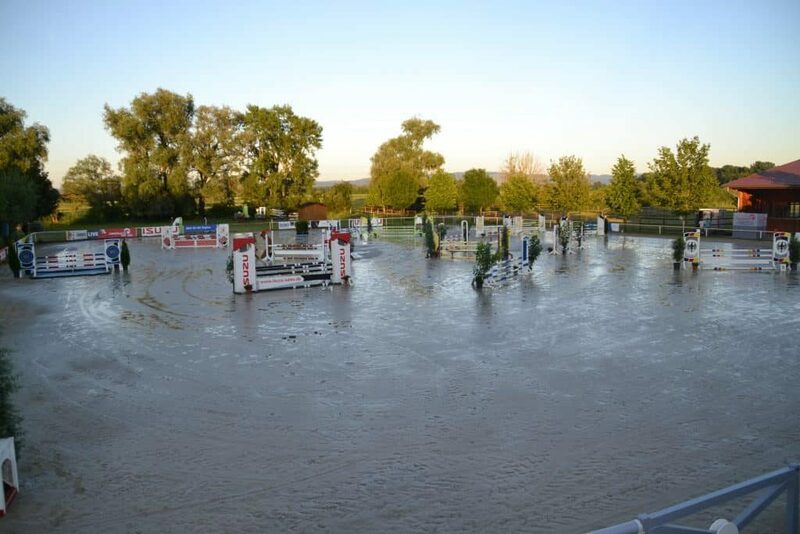 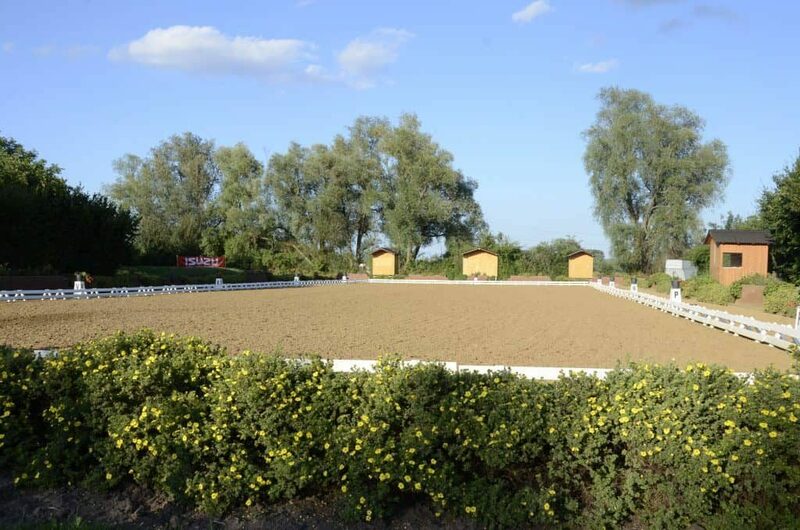 Two dressage arenas (20m x 60m), a lungeing Arena (20m x 40m) and a jumping arena (52m x 70m) guarantee optimal conditions for various training goals. 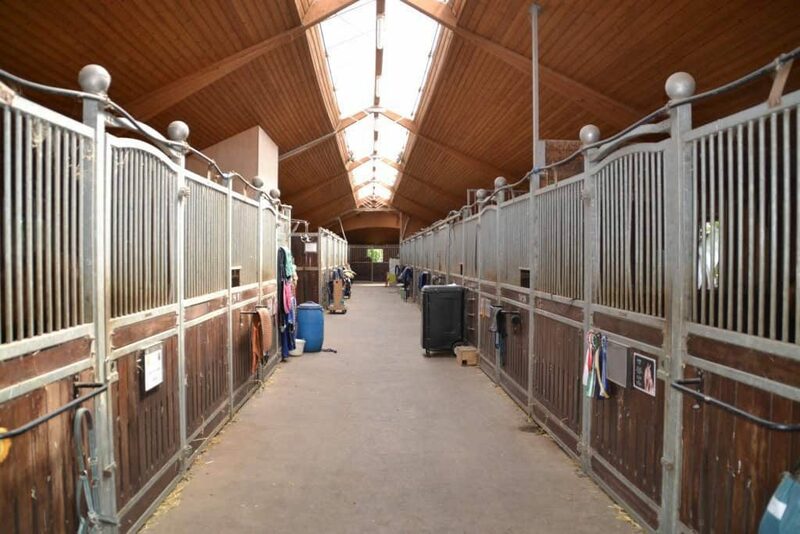 Additional facilities include an indoor roundpen and a horse treadmill. 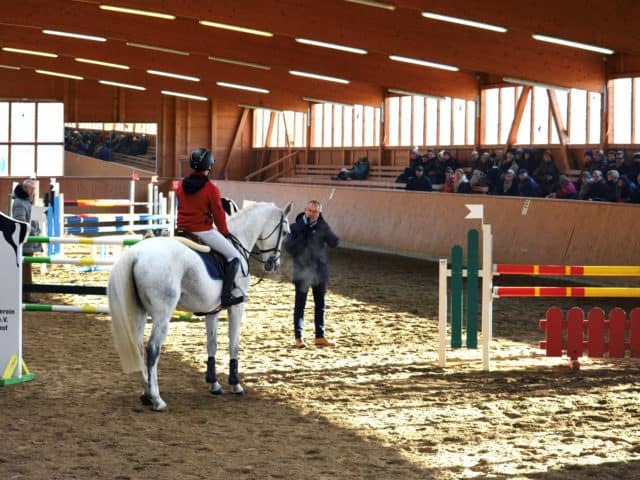 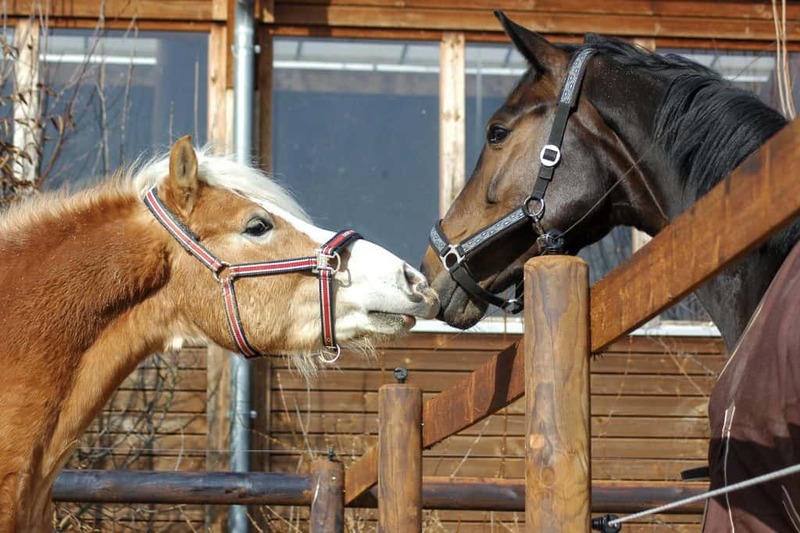 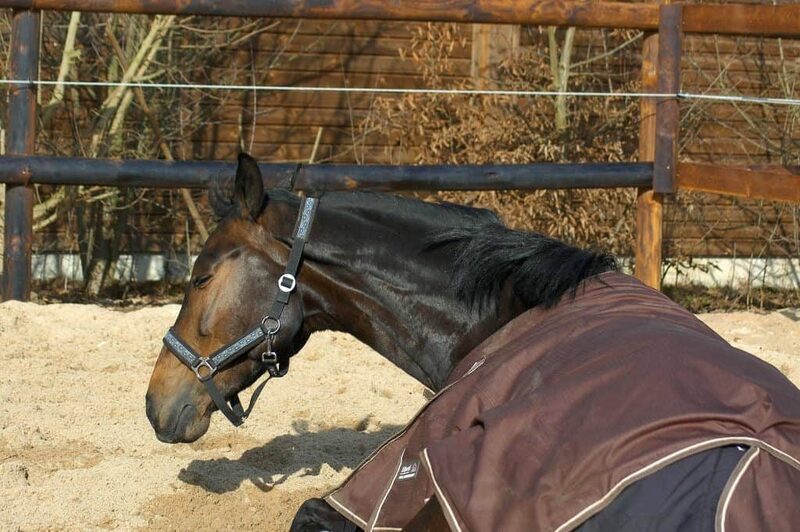 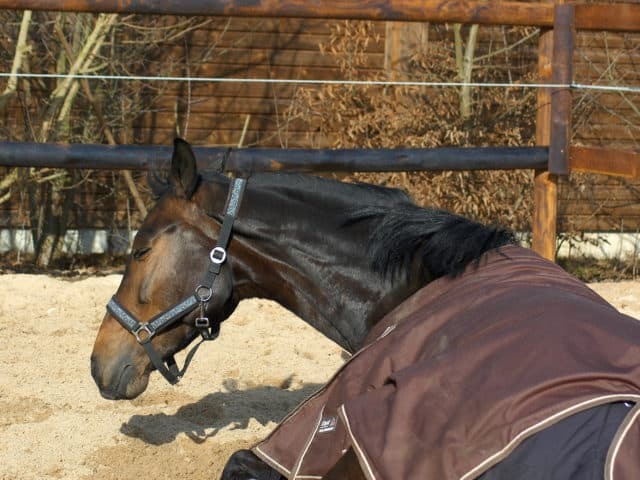 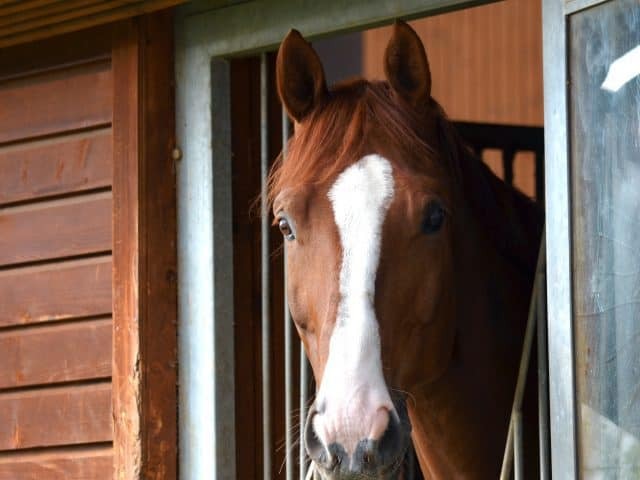 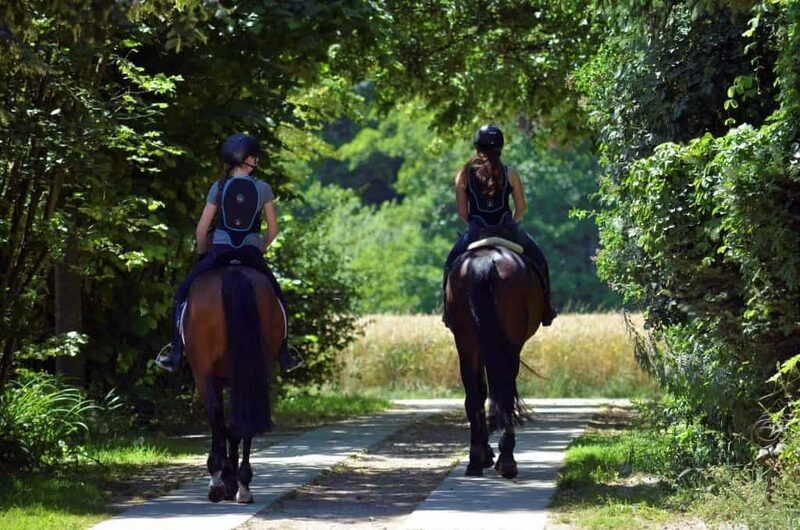 We offer various services to help our boarders in their daily training, for example with horse training through one of our professional riders or boarder lessons in Dressage or Jumping held by our approved trainers. 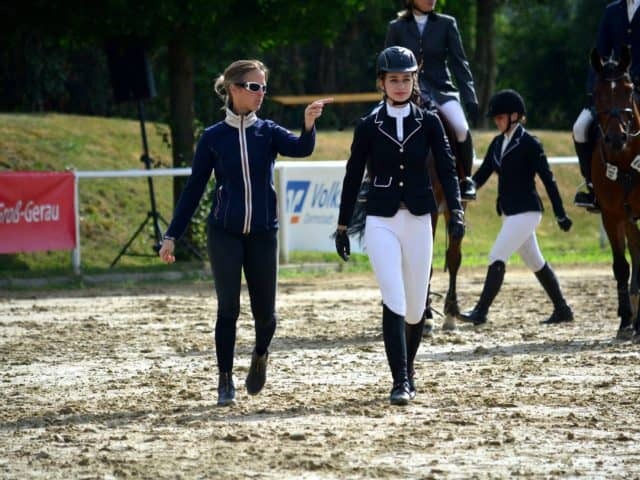 Additionally weekend courses given by nationally and internationally renowned trainers are offered and very successful. 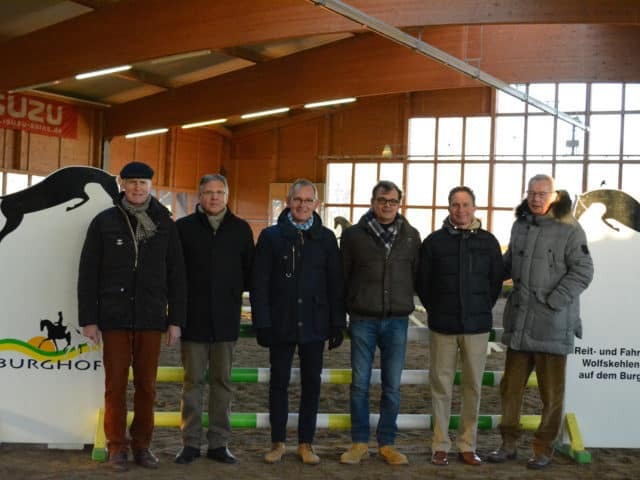 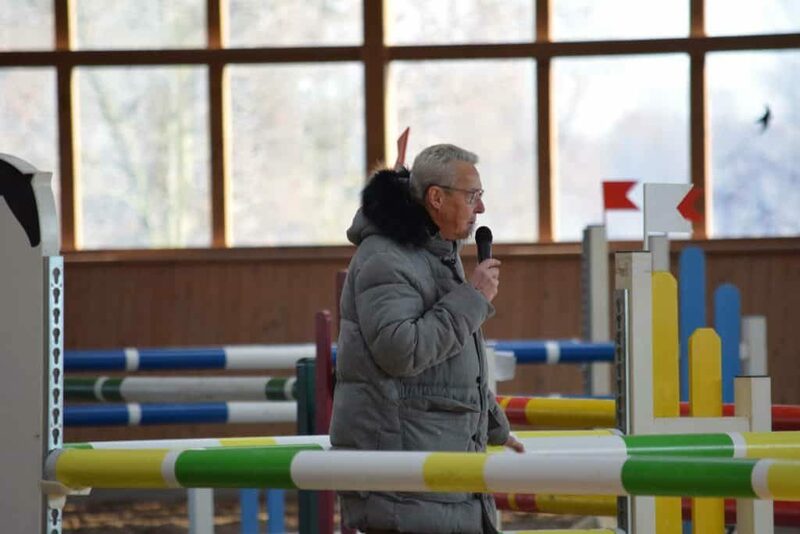 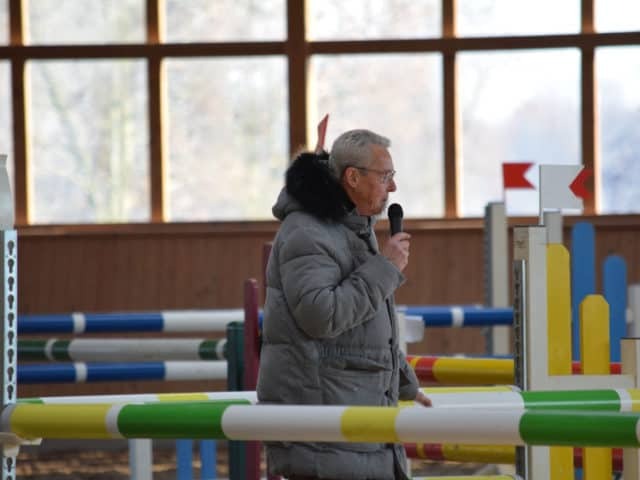 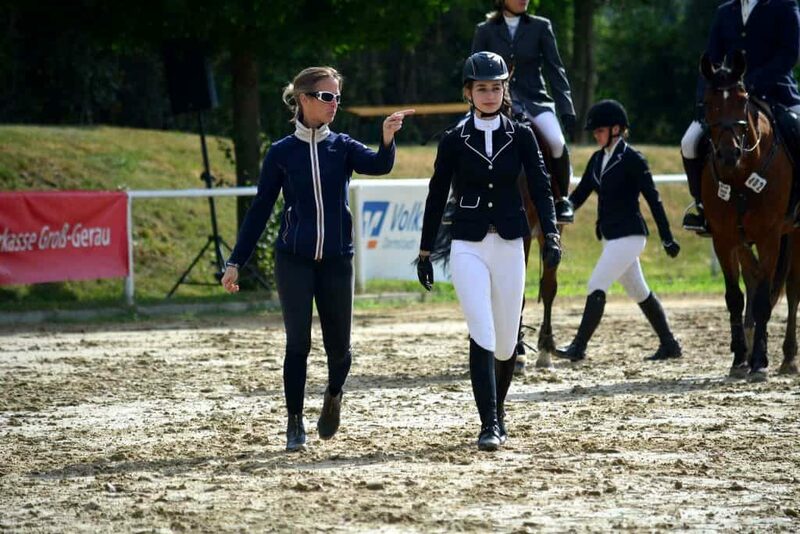 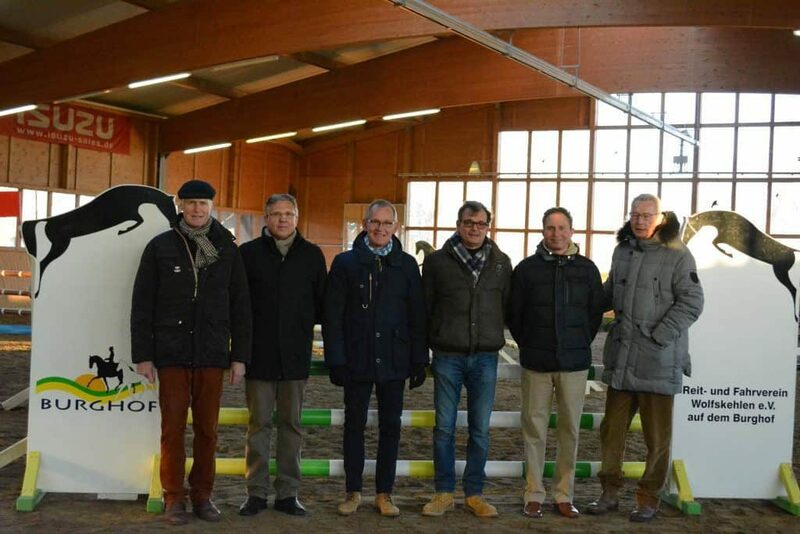 These are frequently organized by the Burghof-based riding club. 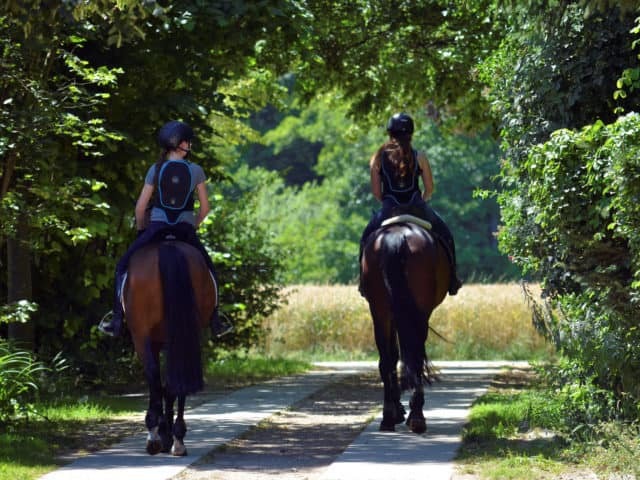 Furthermore we assist our boarders in training their youngsters, by lungeing them and starting them under the saddle and by offering a weekly loose-jumping. 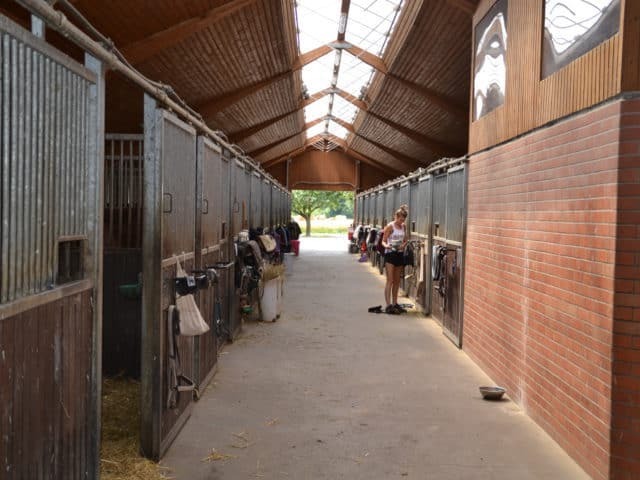 All around our stables there are large fields and paddocks that invite boarder horses to relax and recover after training. 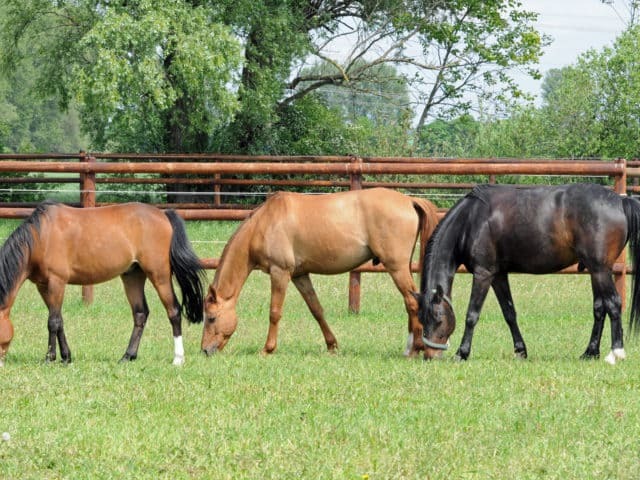 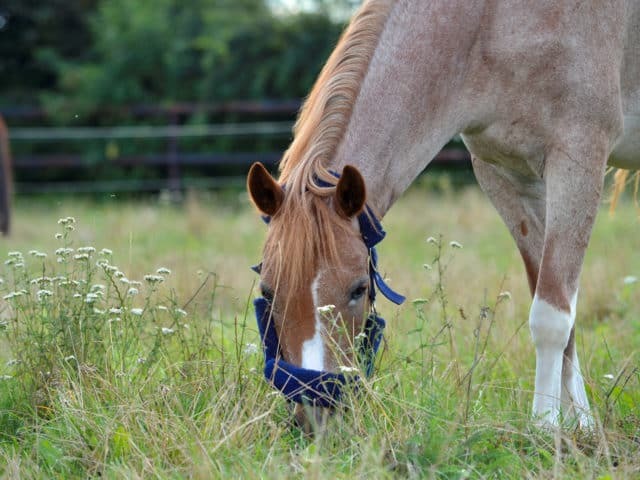 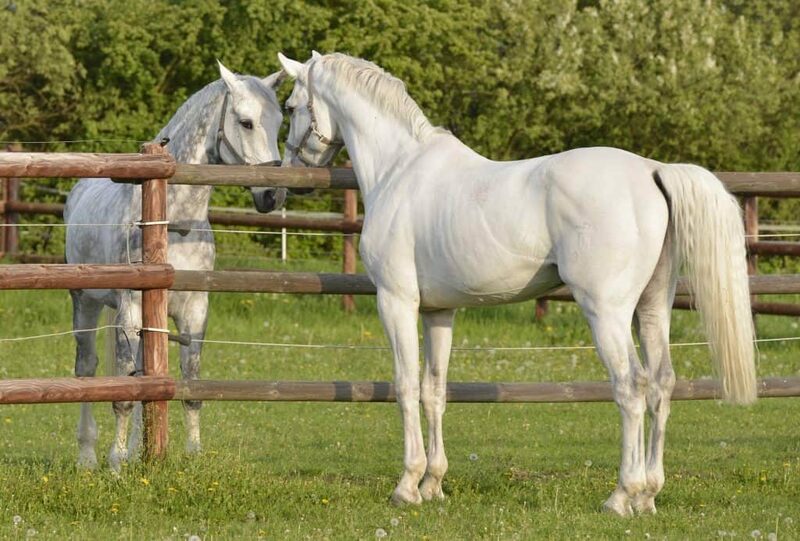 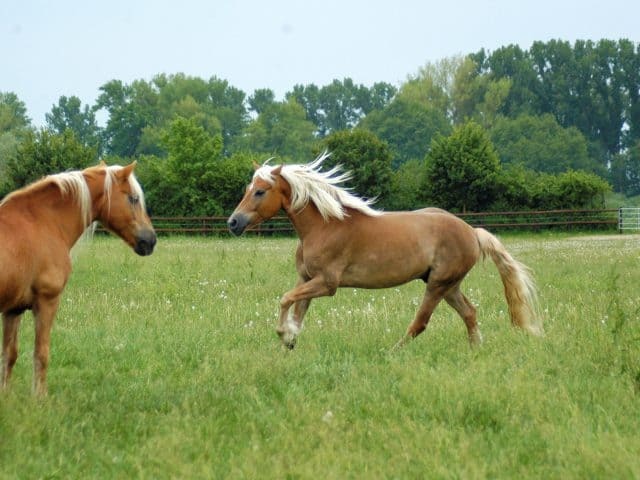 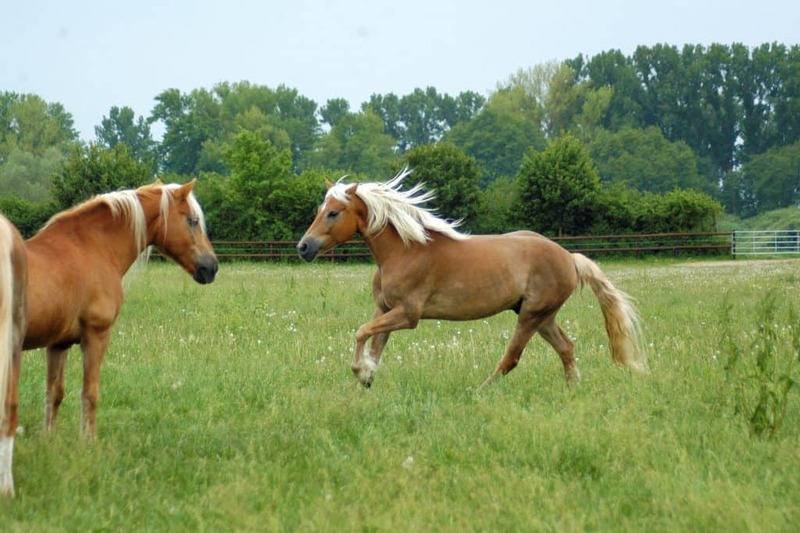 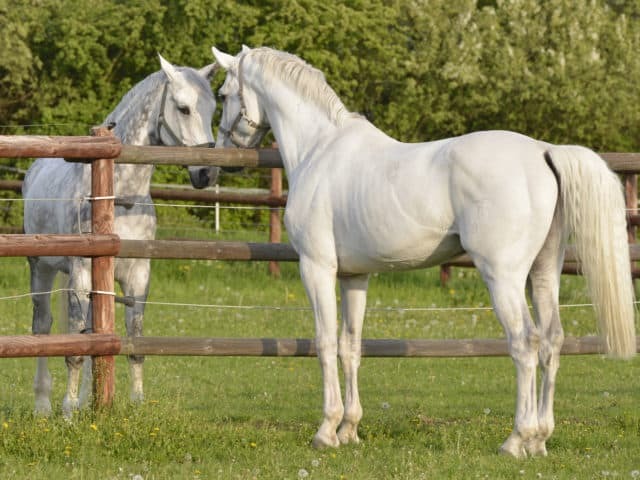 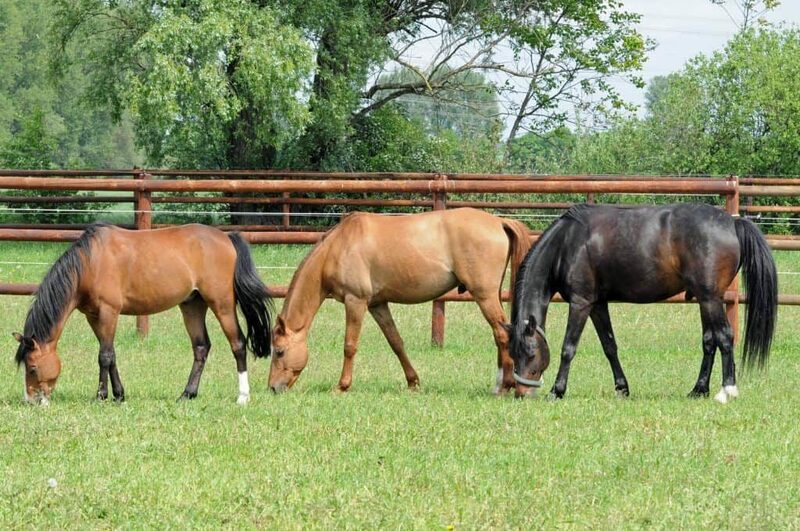 The fresh, juicy green grass futhermore supplements the horses‘ daily, high quality, feed. 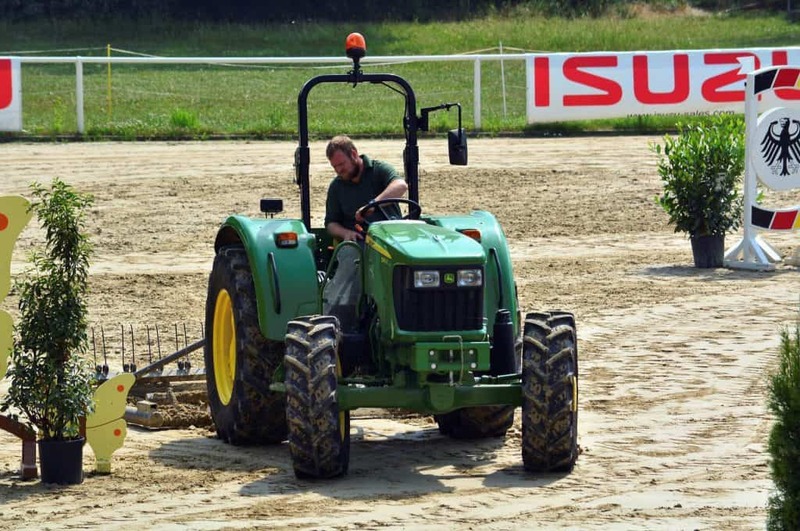 Winter paddocks on sand can additionally be used in the winter. 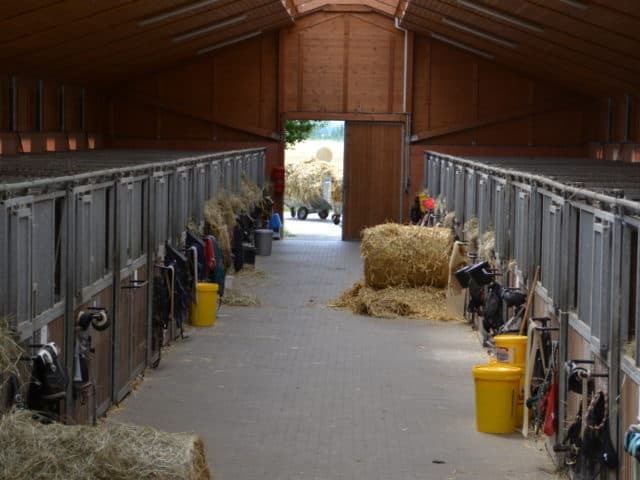 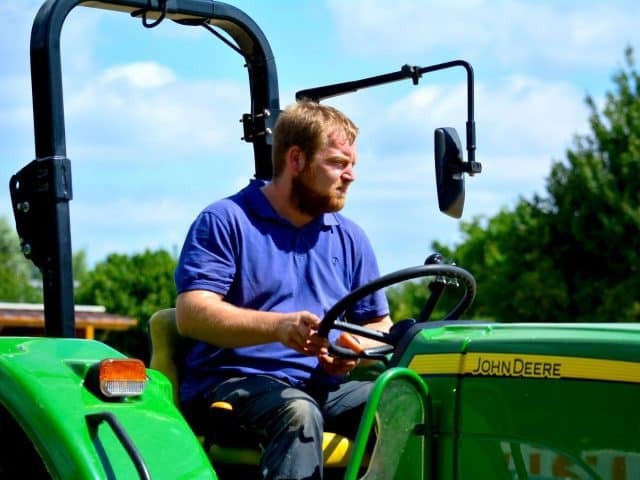 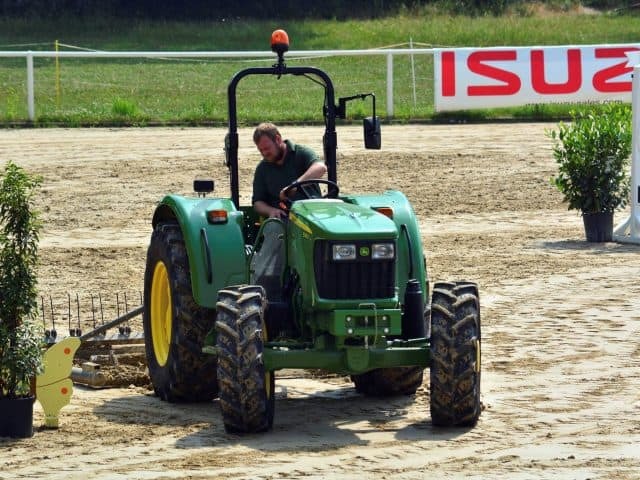 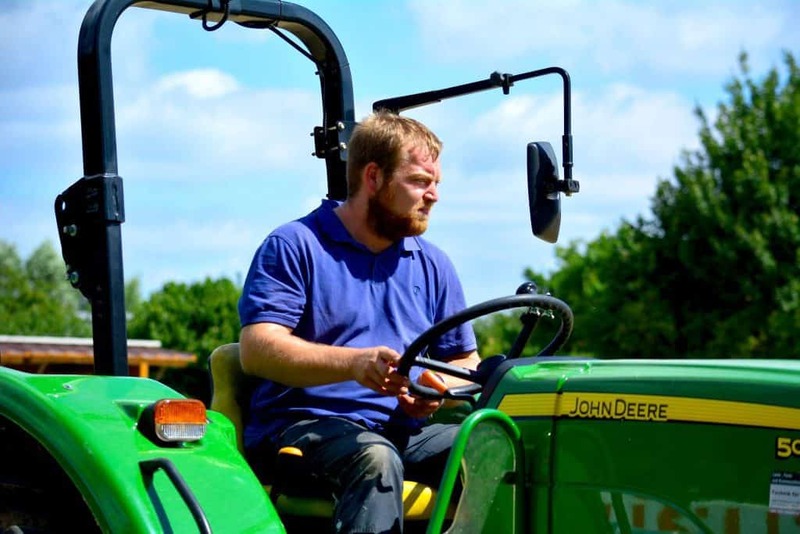 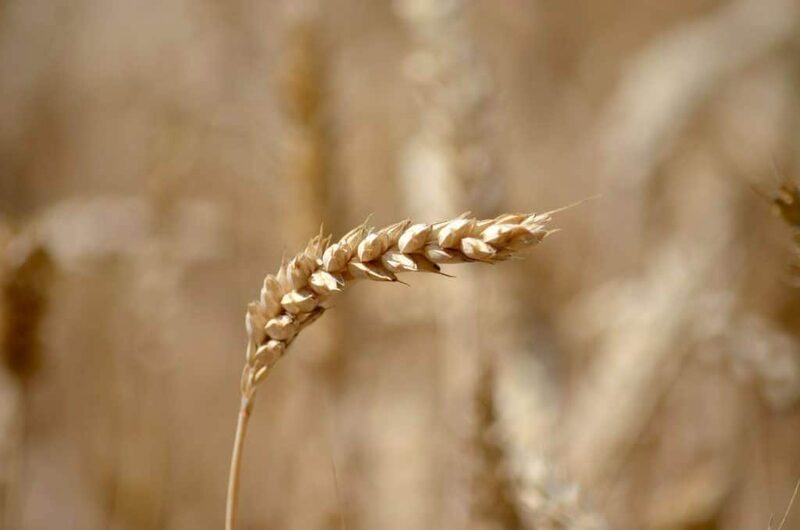 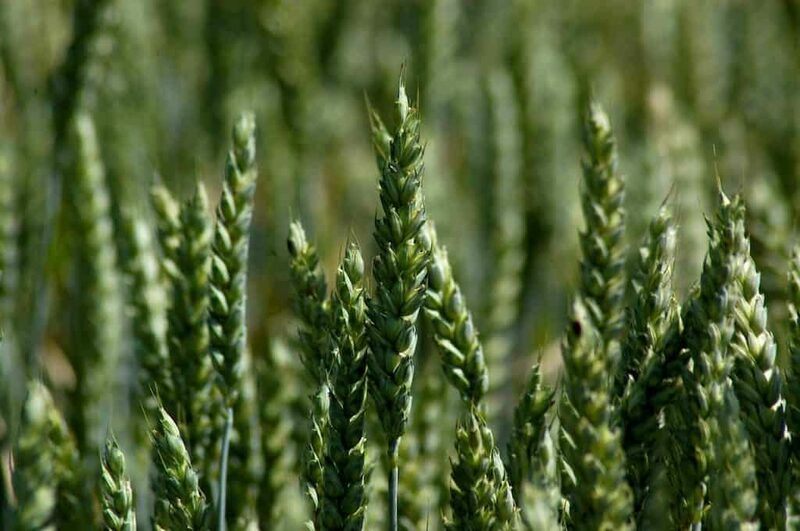 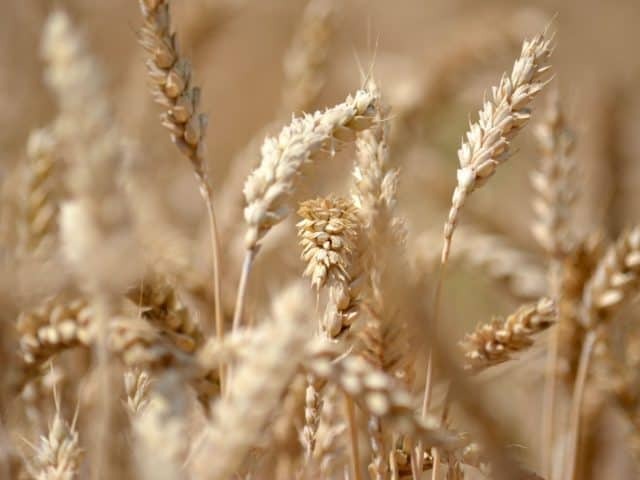 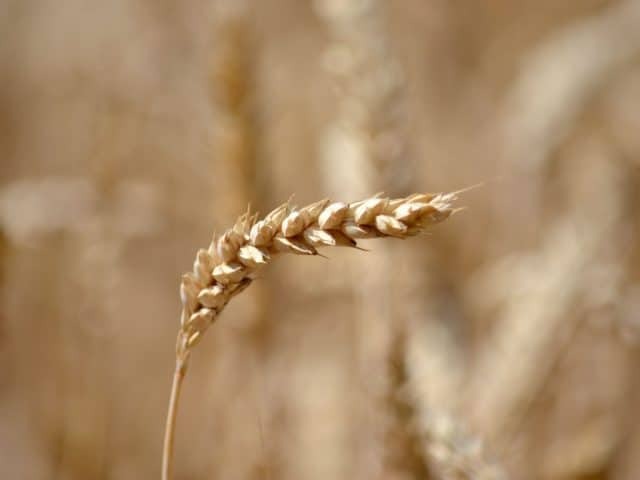 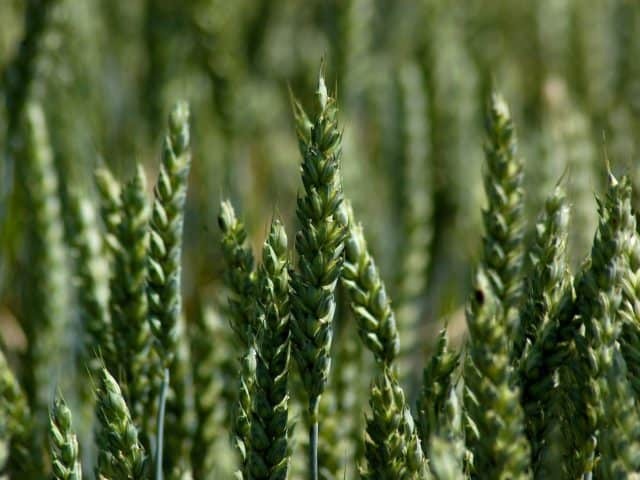 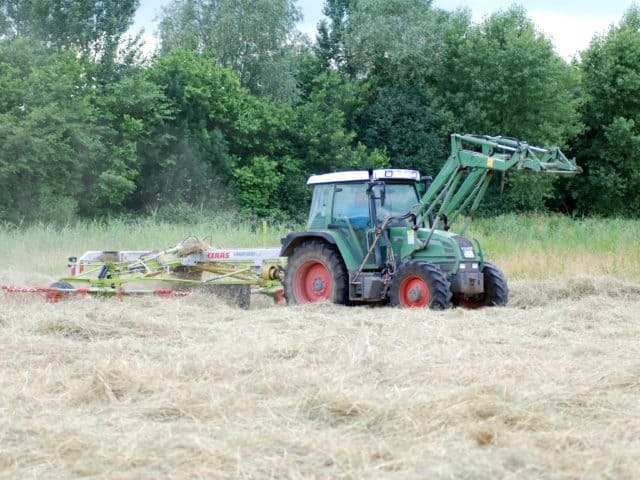 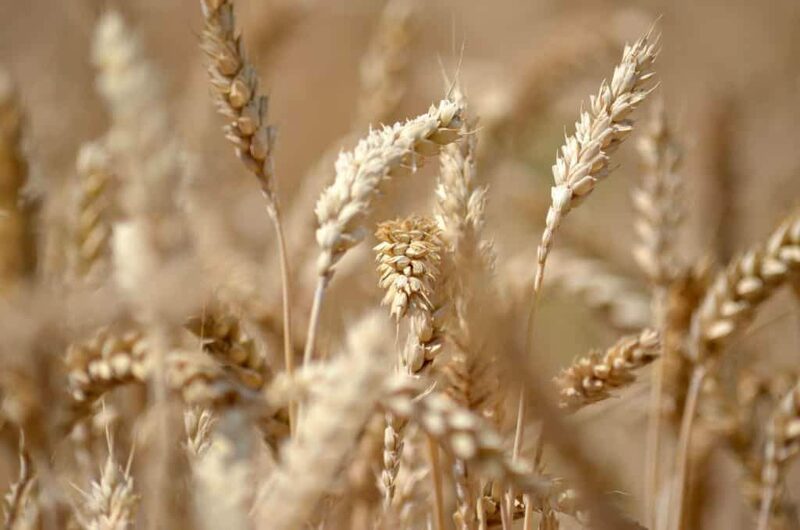 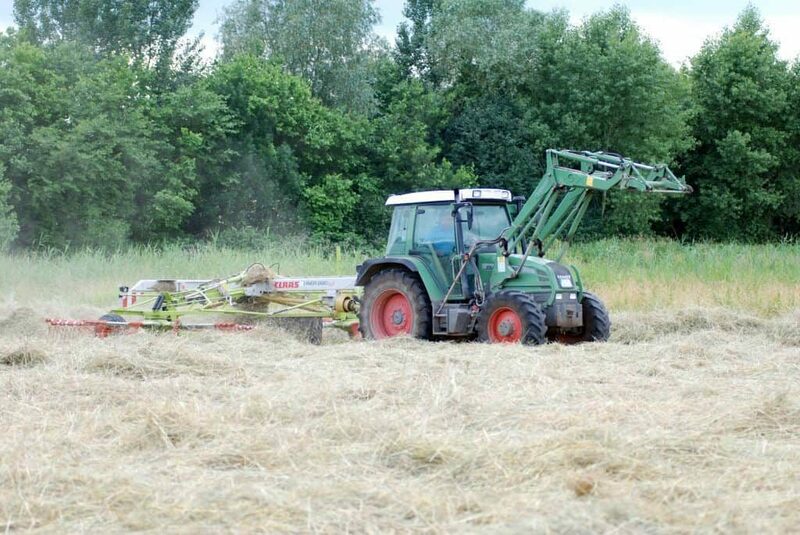 Our large agricultural acreage enable us to produce the majority of the necessary feed and straw for our horses and liverys ourselves and enables us to control and manage the complete process resulting in a superior quality.